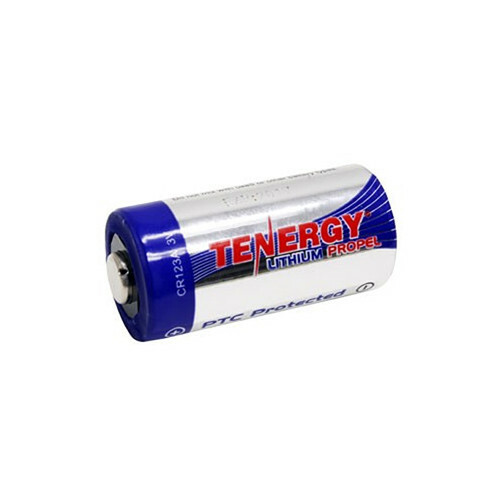 Power various electronic devices, including flashlights, headlights, camping gear, photo equipment, and more, with this single non-rechargeable Tenergy CR123A Lithium Propel Battery from Fenix Flashlight. The cell features 3V of output power, a 1400mAh capacity, and a 4.2Wh rating. Additionally, a built-in PTC fuse protects against excessive current.